If you were like me, you may have heard—or even sung—the following little children’s song in your youth. "There'll be a HOT time on the old town tonight." The song was a parody of the tune of “A Hot Time in the Old Town Tonight” and was meant to be about the Great Chicago Fire of 1871 (although it was later found that poor Mrs. Leary and her cow had nothing to do with starting the Chicago fire). Songs like these get lodged in the fabric of our childhood and help us to recall major historical events like this fire, which burned for several days, killed up to 300 people, and left another 100,000 homeless. But there are other fires we don’t recall or may never have heard of. 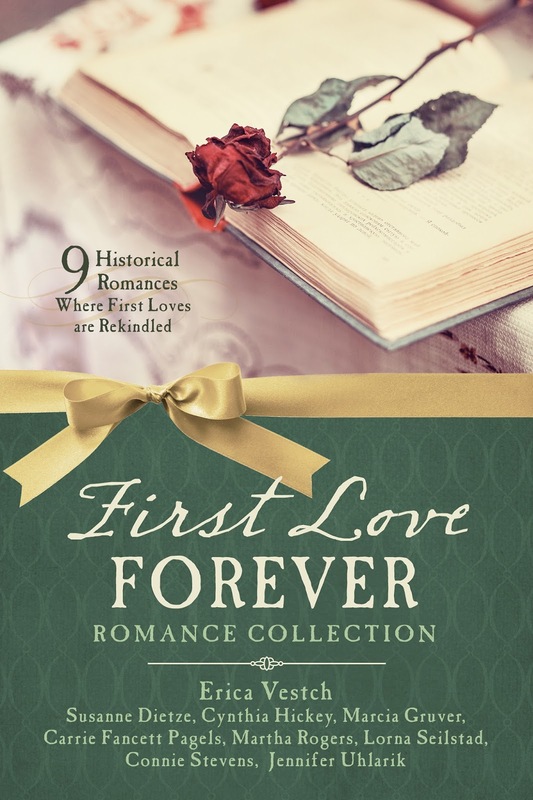 I featured one such event in Heartfelt Echoes, my novella from the First Love Forever Romance Collection. 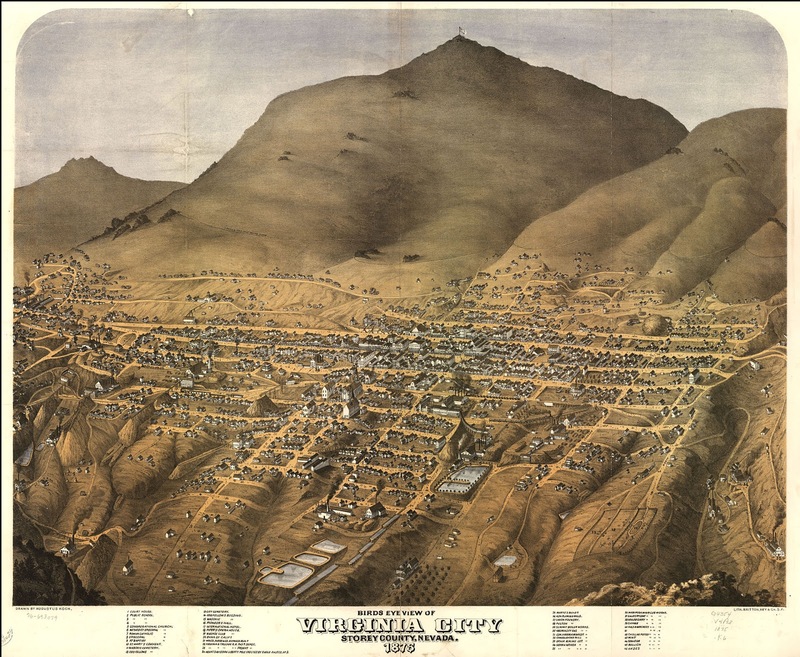 It was the Great Fire of 1875, which burned a large portion of Virginia City, Nevada. 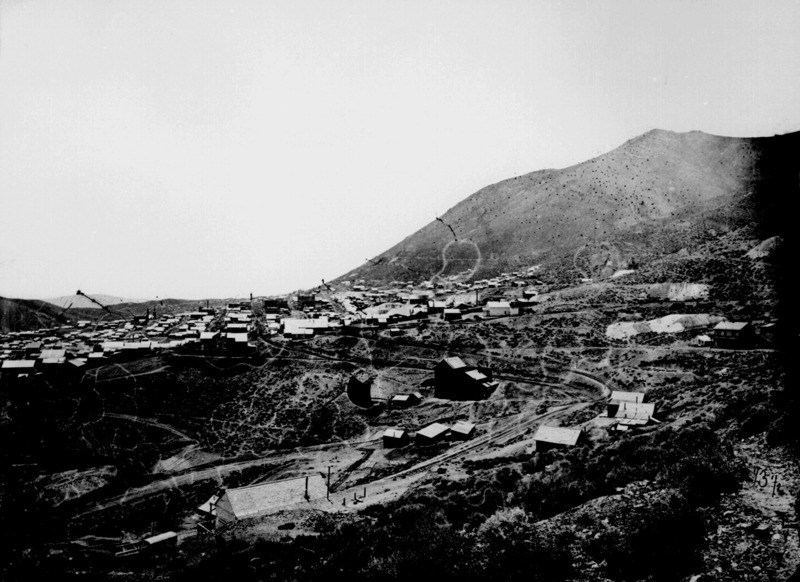 Virginia City was a boomtown which sprang up in 1859 with the discovery of the Comstock Lode—the first major silver deposit to be discovered in the United States. Of course, as you probably know, once gold, silver, or other such mineral/ore deposits are found, people flock to that area and towns crop up quickly. In the case of Virginia City, the new settlement formed almost overnight. People flooded in to work for one of several major mining operations. The city reached its peak in the mid-1870s, it’s maximum population topping out at about 25,000 residents. Of course, this was just when the Great Fire of 1875 broke out. On October 26, 1875, the perfect storm occurred. A boarding house on “A” Street, halfway between Taylor and Union Streets, was home to a rowdy bunch of men and women. Said boarding house residents were known to be carousing until about 2:00 AM the morning of October 26. The home, belonging to a woman known as “Crazy Kate,” was known for its rough characters and many wished for it to be closed. That hadn’t happened, much to the dismay of the surrounding community. Only a few hours after the carousing had finally stopped—right at dawn—a small fire broke out in a downstairs hallway. Under normal circumstances, the fire should have been easily handled by the Virginia City Fire Department. However, on this day, a strong westerly wind was blowing, and it fanned the small fire to life. The flames lapped at the building, quickly overtaking the structure until the wind blew the flames to some of the neighboring homes. Also at risk was a livery stable that the boarding house sat behind. Soon, several buildings were burning. With the fierce wind, the flames traveled quickly, and within a very brief time, the fire was out of control, spreading to the north, west, and south simultaneously. The Virginia Cidy Fire Department came, but their fire engines were small and there wasn’t enough water for the growing conflagration. The firemen could do little, if anything, other than to direct residents to evacuate. When the residents realized there was little chance of saving the buildings, they turned their attention to saving their belongings instead. Many grabbed whatever they could and ran. However, the flames continued to spread. Mayhem ensued. Eye-witness accounts say that from the mountains surrounding Virginia City, the town seemed to be a sea of flames. The roar of the fire surrounded residents on all sides. The sounds of roofs and walls collapsing as buildings fell victim to the inferno also punctuated the city. In some places, buildings exploded with such violence that the concussion rattled pottery and windows at a town five miles away. Smoke billowed through the streets and hundreds of feet into the air, making finding one’s way nearly impossible. The residents ran where the firemen directed—to a “safe” area, but as soon as they arrived in the safe zone, they were told to move again. The ever-advancing flames continued to devour the city. Residents were forced to run to new “safe zones” as many as six or eight times, and each time they left more and more of their rescued belongings behind. In some cases, it was furniture. In several other instances, it was larger items like pianos. The flames roared through the city and destroyed all manner of things—clothes, business wares, family heirlooms. Nothing was safe. The fire raged for hours, burning through Virginia City’s business district, as well as many homes. 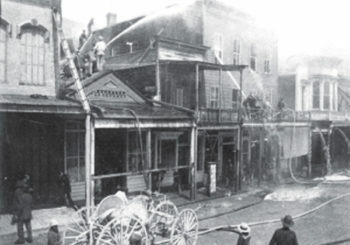 When the flames finally died out, the burned area fell between Taylor Street to the south, Carson street to the north, Stewart Street to the west, and the Chinese quarter to the east, encompassing 75% of the city. The hoisting works of all three major mining companies—the Ophir, the Consolidated Virginia, and the California—were destroyed, as well as about 400 feet of shafts on one of the mines. No building was safe. Even brick buildings burned as quickly as wooden structures. In fact, the fire had burned so hot that the wheels of train cars were melted on their tracks! The losses from the fire were estimated to be around $7,000,000, and some 3,000 Virginia residents were left homeless. While it was a horrific time for ther residents of Virginia City, it was also a time that showed the helpfulness and resilience of humanity. 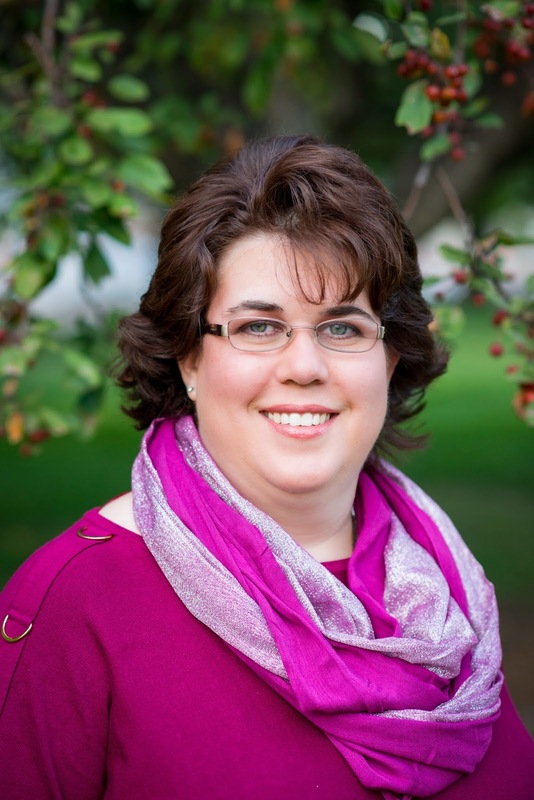 Neighboring towns and cities such as Carson, Gold Hill, and Reno stepped in immediately to help. Carson provided food enough for 2500 people. Other towns donated clothing and other goods for those who’d lost everything. Neighboring towns—and even neighboring states—took in refugees who were left without homes or shelter as they headed into the winter months. And people came from all around to clear away the debris and begin rebuilding. Virginia City did rebound and rebuild. Unfortunately, the Comstock Lode played out within a few years after the fire, and the city’s population fell drastically, as is often the case with mining towns. Fire is a ruthless enemy. People are resilient though, and though difficult, these traumatic events can bring out the best in people. Thanks for the post. You are so correct, Connie. I was very impressed with the fact that so many towns surrounding Virginia City rallied to help after the fire that took out so much of that town. Such stories restore your faith in humanity. I'm so glad you enjoyed it, Caryl!